Golf Weather…And what Makes Snowflakes Look Like They Do. High temperatures will continue to slowly rise through the weekend, reaching the upper 60s by Sunday and then likely reaching the 70 degree mark by Monday and Tuesday. The skies should remain sunny throughout the weekend. The next chance for any precipitation will come in with a series of weak (at this point) systems beginning Wednesday. 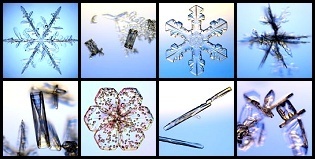 Yesterday, I mentioned that snowflakes can take all kinds of different sizes and shapes. The size and shape of snowflakes is determined by a combination of the temperature profile of the atmosphere, the amount of moisture throughout that profile, and the presence or absence of vertical winds. The example of graupel (snow pellets) above usually indicates you have considerable updrafts in your snow storm… a process not unlike that which forms hail in thunderstorms. 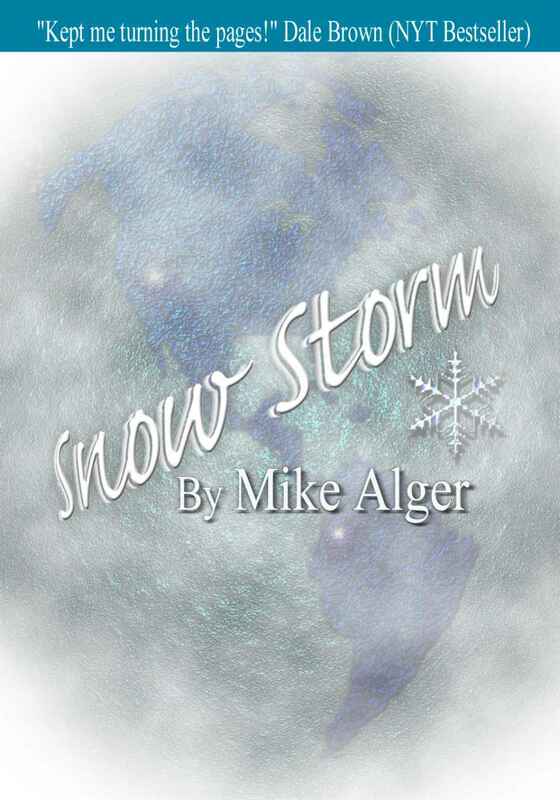 Large fluffy snowflakes can form in a moist and relatively warm snowstorm. Smaller, intricately shaped six-sided snowflakes will occur in a colder and drier airmass, which allows the crystals to form more slowly, and keeps them from joining up with others. You can even get fine ice needles when the temperature conditions are just right.